I try to get as many beneficial bacteria in my diet as possible. Right now in my kitchen I have a healthy, bubbly sourdough starter, a jar of sauerkraut fermenting away on the counter, a jug of kombucha on top of the fridge, a gallon of fermented lemonade inside the fridge that’s almost gone, a ginger beer bug on my night stand, and homemade yogurt sitting on the dryer. I try to keep the ferments at least 15 feet away from each other (which is a challenge in a tiny 1 bedroom apartment) so they don’t cross ferment. You don’t really want bacteria from another strain landing on your kombucha or yogurt, because over long periods of time it will change your scoby/culture into something else entirely. It can weaken your cultures, mutate the strains of bacteria and even kill your “bug”. I am having a lot of fun with fermented beverages right now. We are really enjoying the lacto-fermented lemonade, and it goes really fast. As the weather warms up, it is the perfect time to start experimenting. 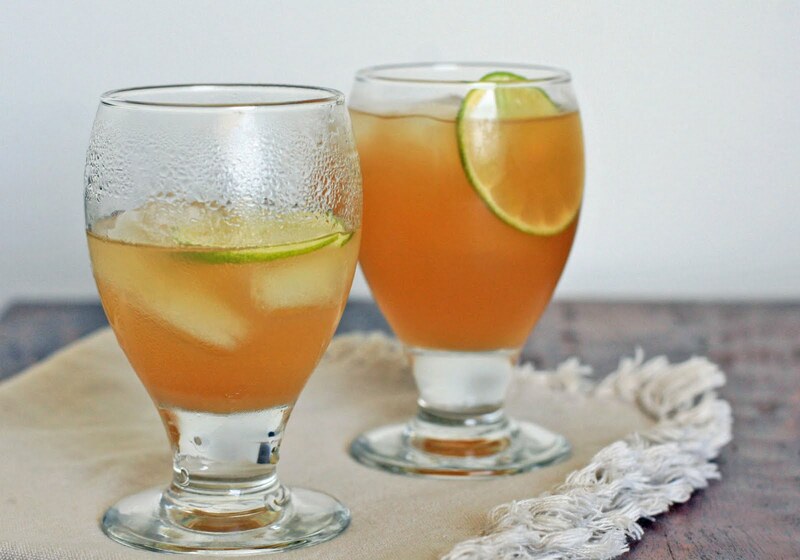 Ginger Beer is another really easy beverage to make yourself. It is tangy and sweet and bubbly and would be an excellent soda pop replacement for anyone trying to break that addiction. Mix ginger, sugar and water. Cover jar with a coffee filter or towel and leave on the counter at room temperature. Every day feed the bug 2 tsp of sugar and 2 tsp of ground ginger. Around day 7 you should see bubbles when you stir the bug. That means it’s ready. Don’t panic if this takes longer, I have had it take almost 3 weeks in the winter. While it’s fermenting away, work on finding a good container for your ginger beer. Most people use empty 2 liter soda bottles, because it is easy to tell if your beer is ready with plastic (by squeezing). I have used plastic bottles and 2 small beer jugs that we got from a local micro-brewery. (a great source for cheap fermenting supplies BTW) You can also reuse 1 gallon milk or water containers. What I really should do is buy a fermentation lock for these glass jugs. They are like $2, I don’t know what I’m waiting for…. If you’re using several smaller containers, just mix this in a 1 gallon pitcher and pour into the smaller containers by funnel. Let the sediment settle to the bottom of your ginger bug. Pour the liquid off of the top, into the pitcher. Pour the beverage into the gallon jug, pop bottles etc…leave 1 inch of head space. Cap tightly. Every day squeeze your plastic bottle or jug. When it gets really tight and full of air and there is no more ‘give” it’s ready and should be placed in the refrigerator immediately. If you are using glass, you look for bubbles and can test for carbonation by opening the jug. You’ll see an explosion of bubbles in the jar when you remove the cap, just like when you open a soda pop. It’s ready. You can also (and I have) not carbonate it at all. I have mixed this in a 1 gallon juice pitcher and covered it loosely with the lid and just let it sit there for 7-14 days. It tasted exactly the same and was delicious, just not carbonated like soda. I honestly don’t particularly like carbonation, I never was a big fan of soda. So I usually bottle half of it tightly and the other half I leave uncovered so the fermentation gasses can escape. After you’re finished making your ginger beer, you are left with your original “bug”. Which is a glass jar with about 1/2 inch of ginger sediment in it. Every day (or when you remember) feed the bug with ginger and sugar and stir. After you are finished drinking up your ginger beer, your bug will be ready to make more. 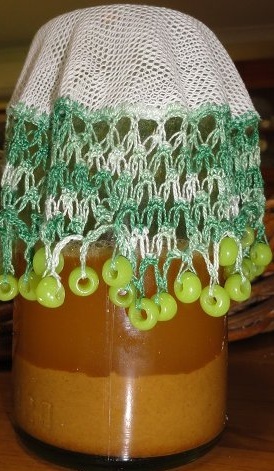 It is a very easy “scoby” to maintain and almost impossible to kill once it gets really bubbly. Every time you make a batch of ginger beer, remember to reserve that sediment in the bottom of the jar, and you can make ginger beer forever. Has anyone tried making this with fresh grated ginger? I tried it twice, and both times it was a flop. I don’t know what I was doing wrong. Wow, I’ve never heard of this! It sounds pretty easy, though. I’m thinking I may start one of these this weekend! Great luck. It’s finally getting warm enough to ferment all kinds of fun things in our nice warm kitchens. Ginger is something I keep on hand at all times. With all the chronic illnesses between my husband and I ginger is a necessity, though since we started working with a fab nutritionist, the need for it is less and less. I have a ginger tincture recipe on my blog at http://tocomefullcircle.wordpress.com/2011/04/01/ginger-tincture/ I love ginger tea as well! 🙂 I bet my kids will love this ginger beer. They used to drink ginger ale all the time but since we nixed store bought soda they are badly missing it. I know this will be FAR better for them than Canada Dry! 8-D Thanks! great post~ I will be trying this asap. yummy!!! This sounds so fun! 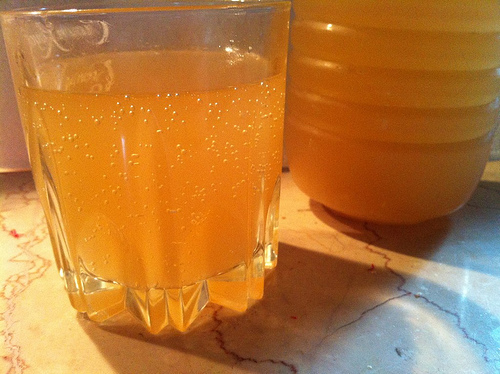 I have made ginger beer with fresh grated ginger before – it was really good, but super sweet. I keep meaning to try it with less sugar, but I always get distracted with other things … I have the same problem with finding space for my fermentations projects – I live in a studio apt so it is super small! I have the sourdough, kombucha, kefir… I love it though! I can’t wait to try this! 1st – in a small glass jar place: 1 1/2 cups purified water, 2 tsp sugar, 2 tsp ground ginger powder. Then feed the bug everyday for seven days+ (2 tsp of sugar and 2 tsp of ground ginger). 2nd – After this is done, get a gallon jug w/lid and add: 3/4 cup sugar, 4 lemons,1 gallon purified water, and your finished Ginger Bug. Leave to ferment for an additional 7 days (or more). You’ll know when it’s ready by full carbonation gas bubbles. It’s ready to refrigerate! (at this point I would transfer to small glass bottles w/removable caps & store in fridge). Will not use plastic due to BPA. 3rd – Once it’s all finished you collect the scoby’s from all glass bottles/container and start again… or is it once you pour the contents in the smaller containers, you are left with the original scoby from the gallon jar and you may start a new batch from this? Great question. Your original ‘bug’ that you fed for seven days will have a large amount of sediment in the bottom of the jar. When you are making ginger beer you pour the liquid off of the top of this bug, into your gallon pitcher, but leave the sediment in the jar. Then add water/ginger/sugar (to your ginger sediment) like you originally did and continue to feed until you want to use it again. I think I’m going to have to post a video of this one. It is awfully difficult to explain 🙂 Did that make more sense? Or make it worse? I love this post you did with the beautiful display of photos, and yes do a YouTube video… that would be super! Living in Greece we have something similar & I had mentioned you… http://ybertaud9.wordpress.com/2012/04/23/tsitsibira-the-ginger-beer-of-corfu/ keep up the great work foodlover! Elderberry would be amazing! I bet a root beer version would be great too. I got the 1.6% research from a study that came from Germany. These scientists tested over a thousand fermented beverages, and the resulting finished beverage had between 1% and 3.4% of the sugar that it did to start. It varied by room temperature and strength of the scoby, etc…I have also tested many fermented beverages out on a co-worker slash guinea pig who has diabetes. He takes his blood sugar before and after he drinks it and has never had any blood sugar spike. I had him drink a whole quart of Kombucha last week and he loved it and had no diabetic reaction to it at all! That was our own little homemade, very non-scientific experiment 🙂 I’ll see if I can find that study, and send it to you. Um, I’m not sure if mine is turning out right or not… I just went to feed it and it’s got white stuff not foamy but almost like foamy (if that makes any sense)… is it working or is it spoiling? I have a pic but can’t upload to this comment… if you want to see the pic I can upload to my blog and post the link to the image here. Just let me know… Thx! Hmmm. 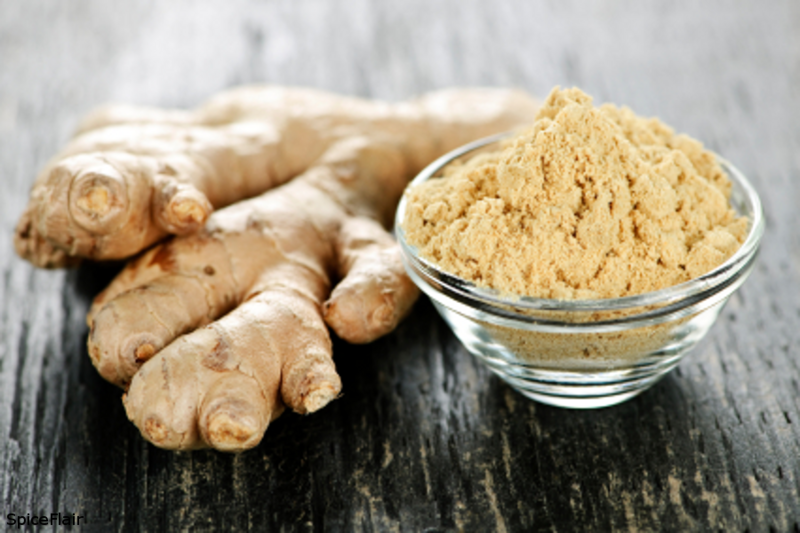 Are you using fresh ginger or powdered? I have never had success with fresh for some reason. I would love to see a picture. Mind doesn’t have any white stuff, unless I stir it and then it gets bubbly for a minute. How long has it been fermenting? Is it a film on the top? Even before you stirred it? It kind of sounds like mold spores…but I’m not sure. If you’re worried, throw it out and start over. I was using ground ginger from the spice isle at the store. I’ll toss it… now that you mention it, it does look like mold. *sigh* oh well, time to try again! does the type of sugar matter? i have Sugar in the Raw brand for now. I was using ground ginger also. How about the water? Non-cholorinated? I have the opposite temperature problem. Michigan is coldy and drafty, so I’m always trying to keep my ferments warm. Let me know how batch #2 turns out! I was using distilled water from a bottle, not tap water. No telling what went wrong. Oh well! It’s rare I get anything right on the first try! 😉 thanks! Also… the temp in our place isn’t very steady. Our central AC went out a couple years ago and it’s too expensive to fix so we got window units for three windows but there are differences in temp ranges… from pretty hot during the day, to kind of chilly at night… I hate it but it’s what we gotta do for now. Perhaps the distilled water is the problem. When I worked at a spring water company, I was told by a water specialist that distilled water is bad to drink. Distilled water has had its minerals, etc. stripped, so in order to bring itself back to a good equilibrium, it strips what it’s missing from your body when you drink it. Who knows, that may have had a negative effect on the scoby. Perhaps you’re right. I don’t use distilled water though, I have a Berkey water filter that takes out the impurites but leaves all of the minerals in the water. I don’t have central AC and heating in my place right now too so that may be an issue (inconsistant temps in the spot where the scoby is). I lost my kombucha scoby’s to mold rather quickly, as well as my attempt at getting a sourdough starter going. I’m waiting for the temp outside to cool and I’ll try it all again. *sigh* Thanks for the tip! I made a ginger bug with fresh ginger a while back! I think the key is to leave the skin on the ginger root bc that’s where the buggies are. I would’ve used ground ginger if I’d known that I could, though. Sounds way easier! Hi there i was wondering if you are able to use the scoby from ginger batch to put into new batch like you do when making Kombucha? My recipe from a friend said to use yeast in it??? Have you ever used yeast, also mine appears to be inactive, it is four days old, Is this right? Will it look more active later? should I stir it each day when adding the sugar and ginger? I have never used yeast. I like to let the natural yeasts from the air do the job. I do stir it every day yes…In cold weather sometimes it can take a while to activate. I’ve only been successful with fresh ginger. The sugar is it’s food. By the time the process is done the sugar is no longer sugar. I have had good success with making a ginger bug with totally FRESH organic ginger or with a very fresh, clean hand of ginger, bought at the Japanese Market. You need to peel and chop it as soon as you get it home and put it in the coldest part of the fridge so any of molds that might have lived on the on the skin stay suppressed. From there, you make it just like the one with powdered ginger. I stop adding ginger after it gets fizzy and then add one teas. sugar for three more days and call it done. Ginger from stores like Jewel, Meijer, etc. seem to be moldy at least half way through (You can tell if there is any mold by looking at places where some was broken off or blue colored flesh when you cut it open) Don’t even bother with this ginger, throw it out or take it back to the store and have a talk with the produce manager. Sometimes they are not too swift about vegetables from other countries and explaining that you need very fresh or organic Ginger will prompt him or her to accommodate you by making sure he gets a better quality ginger brought in. I am going to try it with powdered ginger and see how it goes. This may be the solution to my ‘bugs’ not molding on me. I’ve made this with both dried and fresh ginger with great success. Nothing happened when I used powdered ginger until literally the 7th day. It was other-worldly. And I had the same experience as “reddesilets” with the layer forming on top. After working with fermented things a bunch, I don’t worry too much unless the formation of stuff on top is green, brown, blue, or black. After one-two days the layer turned into a thick foam and it smelled delicious. It was soft and spongy. The bubbles were below the foamy love pillow which tells me all is good n alive. 1 cup water and added 2 tsp of fresh grated ginger (skin and all) along with 2 tsp of sugar. I’ve never had an issue with the skin.As long as it’s fresh and it’s washed – you shouldn’t worry. This is coming from the fermentation guru “Sandor Katz” and his book “Wild Fermentation.” Within about 3 days the bubbles start. I make sure to keep it in a warm place (like on top or next to your fridge). When all is done I use about the same method as mentioned here. I’ve made some of my own alterations as well. I suggest keeping a journal and writing notes. Yep! Works better than expected. Here’s another take on the same process. 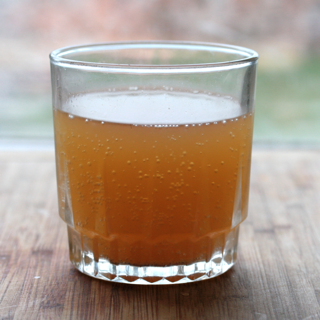 I have started looking at herbal soda recipes. But most of the recipes call for 1-2 cups of sugar per gallon!!! Yipe! That’s 20g – 40g per 12 oz serving. Hire’s and Coke have 30g – 35g, respectively. Can I use Stevia for sweetener and then a little sugar for bottling with the bug? I remember a brewer friend that used to put a teaspoon of white sugar in every bottle before he capped them. Would that work for a lacto-fermented soda? I love this ginger beer and need some new flavors. How do I know that all / most of the sugar is being used up? You need to use organic ginger if you use fresh ginger. Non-organic ginger is irradiated, which kills the bacteria needed to create the ferment.